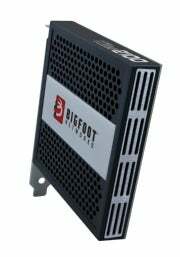 Offering a "race-inspired outer casing," and user-friendly network-management tools, Bigfoot Networks' Killer 2100 network card hopes to help you combat the lag-related bottlenecks that stand between you and gaming glory. The Killer 2100 sports a 400MHz network processor and 128MB of DDR2 RAM; its purpose is to optimize your network connection, ensuring that the packets you prize most are processed quickly -- all that (and a single gigabit Ethernet port) for a mere $129. Chances are, you're having trouble wrapping your head around the utility of a network processing unit (or NPU, if you're keen on acronyms). As most every PC bought today will include at least one gigabit Ethernet port built right onto the motherboard, spending an extra $129 to "optimize" that connection might not seem like the best use of funds. Bigfoot Networks' logic is sound: online gaming is generally driven by response time. As such, the Killer 2100 is being aimed squarely at gamers -- that cabal of PC users driven to wring the most power and efficiency out of their machines. If you've already outfitted your PC with premier components and peripherals, there's very little left to do if high server latency is wreaking havoc during your weekly raids. Killer 2100 control panel interface (click for larger). 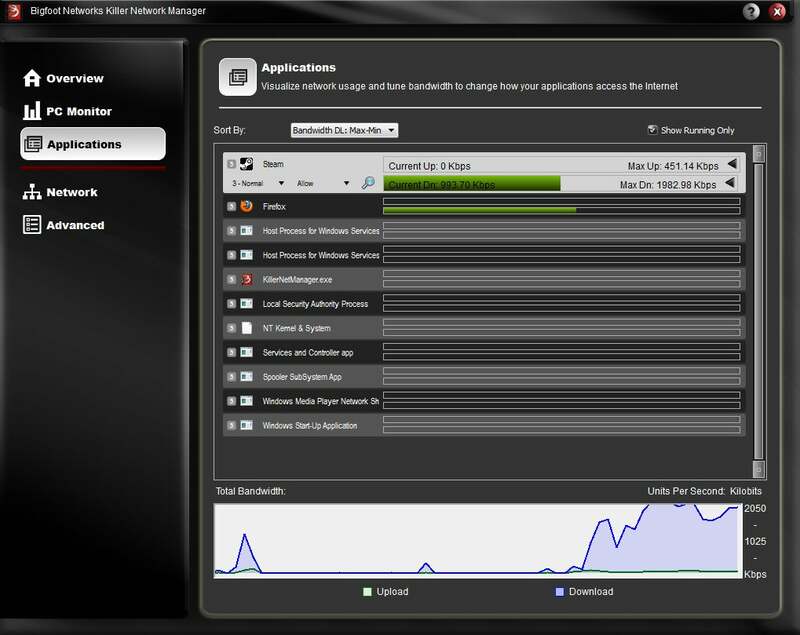 Once installed, the Killer 2100 network card detects games or applications you choose, and prioritizes their data, skipping past Windows' native network stack to shave precious milliseconds off of your machine's response time (click the image for a larger version). If you're a regular online gamer you've experienced lag, and the jarring effect that even slight latency irregularities can have on your experience. Suddenly, picking up a shiny new network card doesn't seem like such a bad idea. But consumers haven't exactly been keen on buying new hardware with -- let's be honest here -- few tangible benefits. Remember Ageia's Physx processing unit (PPU)? By offloading physics calculations from your CPU onto a dedicated piece of hardware, you could improve performance and visual presentation in games that supported it. Instead of seeing mass-market appeal and being snapped up by enthusiasts, the technology was ultimately folded into Nvidia's graphics cards. Shaving down the latency on your favorite first-person shooter might help you pull off a few more headshots, but most users would likely feel more comfortable investing that cash into a new graphics card, CPU, or even an extra stick or two of RAM. The NPU isn't a new idea -- we've covered Bigfoot's wares in the past. And at $129, it certainly isn't the most expensive upgrade you could bolt onto your gaming rig. But are gamers -- even at the enthusiast level -- ready to attack frame-rate issues by buffing up their network card? And then there's the practical angle to consider: eliminate lag, and you'll have nothing left to blame your shoddy skills on. Are you ready to take the plunge and buy a network card? Or is your onboard network interface card good enough? Sound off in the comments!